Call Peninsula for exceptional heater service and repair in Easton, Maryland. By the time the Waterfowl Festival arrives in November, Easton is feeling the frost! Keep your heater running efficiently and effectively with heating service from Peninsula. Our experienced service techs can perform routine maintenance, tune ups, and repairs of all kinds. A better-running, more efficient heating system can help lower your energy bills! If you need heating service in Easton, MD, contact us! Heater installation is just the beginning of what we do for our customers in the Delmarva Peninsula. We service and repair heaters of all makes and models—whether we installed them or not! We offer tune-ups, upgrades, and emergency heating services. Heating Tune-ups – Just like cars, heaters run best when they get regular tune-ups. We’ll check to see how your heater is running, make any necessary fixes, and leave you with a clean, improved system that’s raring to go! Heating Upgrades – If you already have a good system in place, an upgrade can make it perform better through additions like energy-saving, seamless ductwork. Emergency Repair – If your heater breaks, call us any time, day or night. We can send out an emergency repair tech 24 hours a day, 365 days a year—even on holidays! Years of heavy or even moderate usage can cause even the best heaters to fall into disrepair if regular maintenance isn’t performed on the system. Outdated and/or rundown heaters don’t just leave you shivering on cold winter nights—they can also cost you big money on your utility bills! However, Peninsula can help! A properly maintained heating system runs more efficiently. By performing heater repairs and services on your thermostat, air filter, electrical connections, humidity controller, duct work, and other components of the system, we can get your heater back into optimal shape and save you money on your bills! Of course, if your entire heater needs replacing, we’re always ready to help you with that, too. 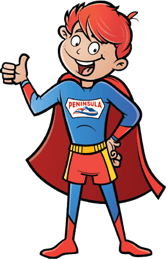 Why Choose Peninsula for your Easton, MD Heating Service? At Peninsula, we are committed to providing and maintaining efficient, high-performance heating options for our friends and neighbors in the Delmarva area. Our 75 plus years in the HVAC business means we are extraordinarily qualified to recommend and install the very best heating systems. With our help, you can save money on your energy bills and enjoy a comfortable climate in your Delmarva home year-round. Contact us today to learn more about heating services for your Easton home! Plumbing Services – Our services include preventative maintenance, drain cleaning, and water leak detection. Call us to schedule plumbing service or request an estimate. Air Conditioner Services – Contact us for air conditioner repair, replacement, installation, and tune-ups. Get your A/C serviced BEFORE summer begins to ensure your family’s comfort! Indoor Air Quality Services – How’s the air in your home? Water damage, dampness, mold, and other factors can cause your home’s indoor air quality (IAQ) to suffer. Our IAQ specialists can conduct a thorough analysis of the air in your home and suggest ways to improve its quality and promote a healthier environment for your family. Check out our promotions and money-saving specials! Peninsula can cover all of your heating, cooling, and plumbing needs. 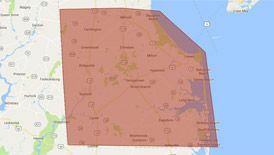 We have been proudly serving your friends and neighbors in the Delmarva Peninsula for more than 75 years. Contact us today to schedule service or a free estimate!